We’ve teamed up with the top businesses in Carlow for your stag! 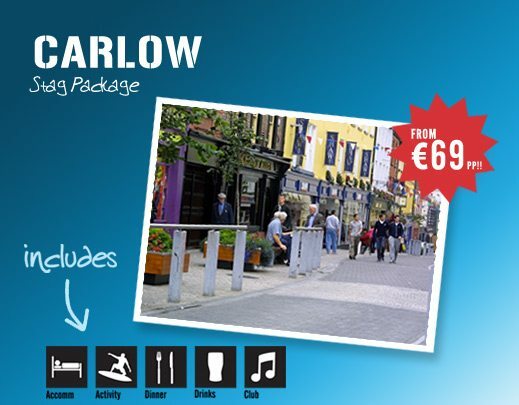 Our Carlow package includes hotel accommodation on the outskirts of town with breakfast and that all important residents bar. Whiskey Distiller Tour: Learn how whiskey is made: get up close and personal with the casks and the maturation processes. Groups get 3 sample whiskeys to taste. Finger food is in one of Carlow’s top bars…..